Whether you want to update your home, recover from storm damage or enhance curb appeal, ADC Restorations brings style, resources and craftsmanship that makes the process as attractive as the finished results. we understand that different types of properties require different attention. As a general contractor, we specialize in all aspects of restoration, from homes to outbuildings, sheds and stables – and from exteriors to interiors and structural issues. Your home never looked better. Curb appeal isn’t a quality reserved exclusively for a home buyer. When it comes to your home, the most important audience is you. With restoration services from Advance Design & Construction, you’re able to make coming home feel better than ever, especially if you’ve suffered storm damage. Our full-service restoration capabilities enable you to adopt new exterior features, finishes and materials to create a fresh appearance. Advance Design & Construction’s three-dimensional design technology lets you see how it looks before you make decisions and work begins. We’re also able to introduce you to new products, energy savings and updates that deliver greater value to the livability and maintenance of your home. Aren't you custom home builders? For nearly 20 years, Advance Design & Construction has been one of the area’s leading custom design-build firms. In fact, it’s our relationships with clients that led us to develop other divisions that enable us to better serve homeowners, with dedicated teams that bring the same attention to detail, service and results. More than simply replacing damaged materials with new, ADC Restorations looks deeper to ensure the soundness of your home’s structure, provide detailed plans and estimates and implement a process that ensures you’re part of the process from start to finish. Do you provide an estimate? Absolutely, it’s the only way to ensure that you understand exactly what we’re proposing, the costs associated with the project and that we meet your expectations at completion. Do you work with my insurance company on my storm damage claim? Yes. ADC Restorations has a licensed claims adjuster on staff to assist you with all aspects of the replacement or repair of your home’s roof. Like all the work we do at Advance Design & Construction, a project manager is assigned to your restoration project. This individual is available by phone, e-mail and on-site to visit with you about any aspect of your restoration. In addition, our online project management system allows you to review all activity at any time, from the convenience of your computer, tablet or smart phone. How do I know when my shingles need to be replaced? As a general rule, if you see cupped, curled or even missing shingles, you’ll want to contact ADC Restorations or another licensed professional. We’re able to go up on the roof and inspect the shingles and other aspects of the roof to see if there’s cause for concern or if everything appears normal. If there is damage, you may not need to replace the whole roof. It might just need a repair. ADC will provide you with a free estimate. What shingles are allowed in my neighborhood? Your neighborhood association or covenants are a great place to check for any restrictions or guidelines on the types of shingle materials that are permitted in your neighborhood. If no specific materials are mentioned, they may specify roof materials based on shingle quality, which is measured in the years of wear. Generally the greater the number of years a roofing material is rated, the thicker it is. For example a quality asphalt shingle from Tamko or Heritage will be rated for 30-50 years. Many homeowners move to a “lifetime” roof that offers minimal maintenance and worry – especially when made of a composite material from plastics and rubber offered by DaVinci Roofscapes. ADC Restorations is able to show you samples that allow you to understand the difference. They also let you see available options in terms of color, texture, shape and size of the shingles – along with photos of how they look on a completed roof. Before you decide to replace your windows, you should find out the age of your current windows and look for signs of aging like fog or moisture between the glass. What about water stains in the drywall or wood trim around the windows? If any of these signs are evident, please contact ADC Restorations and or licensed professionals would be happy to come out investigate. Estimates are free. What is the best option for replacing my current siding? 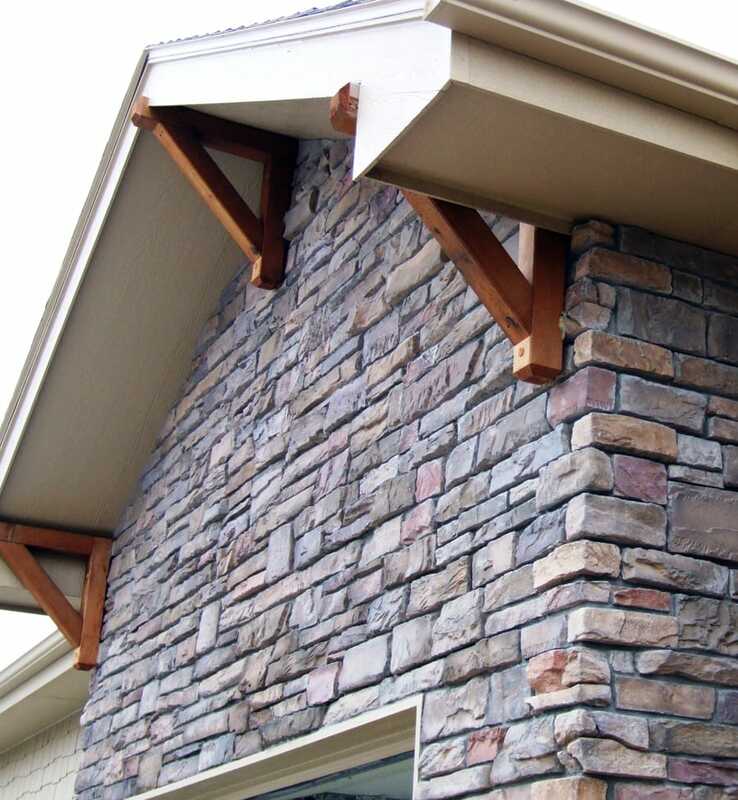 Generally speaking you’ll want to replace your siding with a material that will last longer than what you currently have and that stands up to the extremes in weather our area is known for. ADC Restorations is a great resource for learning more about the options that are available to you. Vinyl and metal siding offer a great maintenance-free and worry-free products, but are often not allowed in neighborhoods with active HOAs and covenants. These materials can also fade, chip and crack over time. That is why concrete lap siding like Hardieplank from James Hardie is increasingly used. It usually isn’t restricted by covenants and is made from a proven durable material. Before you replace or remove your current siding, be sure to check with your neighborhood association or covenants for restrictions. How do I get a quote on my potential work? Give ADC Restorations a call to set up an appointment. We’ll come out to visit with about your needs and discuss what your best next step could be. From traditional two-story to transitional eye-catcher, ADC Restoration replaced monochromatic color and one-dimensional details with exterior elements that introduce character, historic architectural detail and even a pop of color. At Advance Design & Construction, we’re fortunate to have clients who allow us to do the work that we do. We are also lucky that they’re willing to share their experiences with us. It’s the best way we have to demonstrate what you can expect from us on the issues that are most important to homeowners when building a true custom home. Our referral list includes nearly everyone we’ve ever built, remodeled or renovated a home for. So, while we may not be able to promise that you’ll never have a question, a concern or even a complaint, you’ll find that we do everything in our power to live up to your expectations. If you’re ready to restore life into your home, reach out to us today.